66 COLOURlovers viewed this page and think Maui4Me deserves two thumbs up. Oh yeah ! 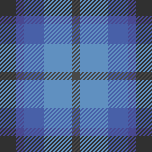 Now that is a stareable plaid. I love it !